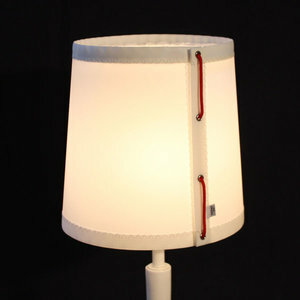 Skagerrak table lamp is a lampshade sewn in white dacron and held together by a thin rope threaded through eyelets. It has a claw attachmemt to put directly on the light source, which makes it fit most lamp stands. 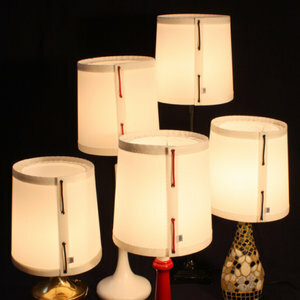 Choose colour of the rope that holds the lampshade together; red or black.